In partnership with Seattle Parks Department we are offering an informative workshop on forest and fish surrounding the local area. We will be offering a salmon lunch for $15 a plate. Please come join us for a great afternoon celebrating fish and forest. 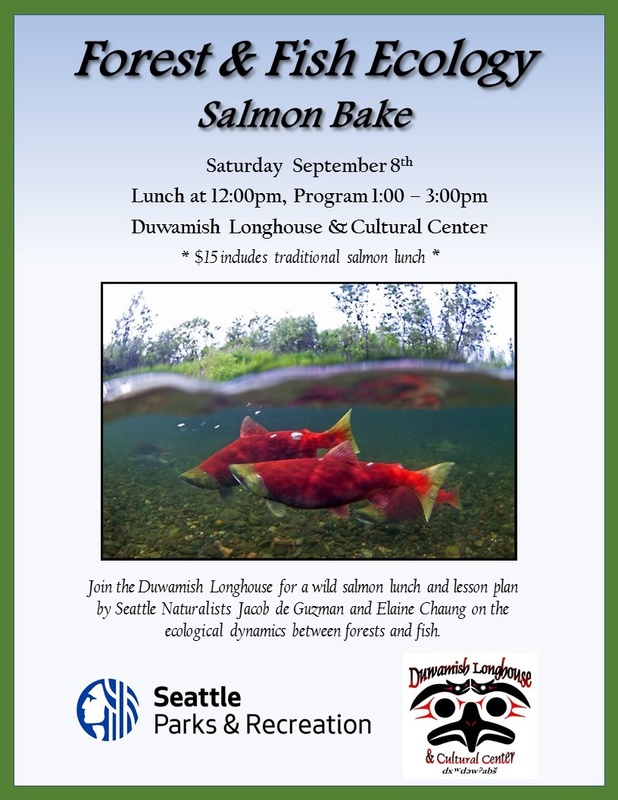 A great opportunity to get ready for the return of the salmon.